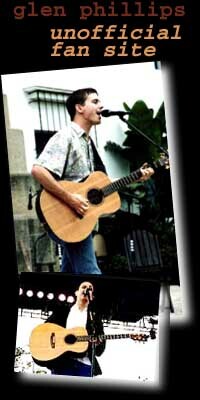 Welcome to one of the first major fan sites for Glen Phillips. This site is dedicated to supporting the existing fan base for Glen Phillips and helping get his music out to a broader audience. My name is Gerrit. I just got his new CD, Abulum, and it's awesome! Check it out! 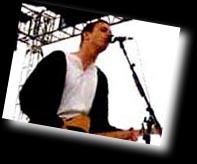 In order to get this site going, sign up as a Glen Phillips Fan in the Fan Yearbook, add some Reviews, and add your favorite Glen Phillips web site to the Links List. Do you use Yahoo! Messenger? Have I got some skins for you! As far as I can tell, this is the third approach to building a Glen Phillips fan site so far. I aspire for this site to be THE location for Glen Phillips fans to get together.